Brawl in Cell Block 99 has no business being as gruelingly long as it is – at times if comes across like a drawn-out and poor imitation of an old Walter Hill film (i.e. The Warriors, Undisputed) – nor does it demand to be as obsessed with such barbaric, Old Testament, eye for an eye manslaughter. This is a disgusting and tedious feature told in the likeness of 70’s Grindhouse films, and yet this one tries to modernize that recognizable queasy and soulless tone with a dreadful redemption story at its center. I admired the dedication of the performers, hated the very core of this movie, and was ultimately let down by a filmmaker who is more inclined to shock us than to actually write a story worth telling. You can say hello, but you better not call him Brad. He’s Bradley (Vince Vaughn) to us, to them, to his wife and to the prison guards. A tall and Southern gentleman meaning that he respects women and speaks more through action than dialogue. The character’s strict and borderline obsessed definition of himself says very little about this deranged man’s motive. Long for work, Bradley becomes a courier for a druglord, eventually imprisoned and battling a system as well as the inmates around him. If you want a similar setup told with a truly cinematic, picturesque, fully-formed vision, then you need to watch Jacques Audiard’s ’09 feature A Prophet. 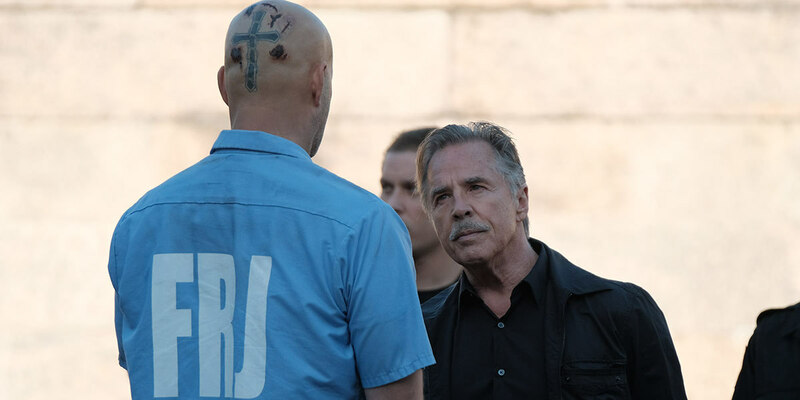 By comparison, the French auteur’s film speaks to all those willing to believe in its divine title, whereas Brawl in Cell Block 99 bullies and bloodies itself into a corner, hitting itself on repeat, inflicting senseless pain. I respect this movie’s willingness to bash its head against a brick wall. At some point though, you have to recognize that enough is enough. 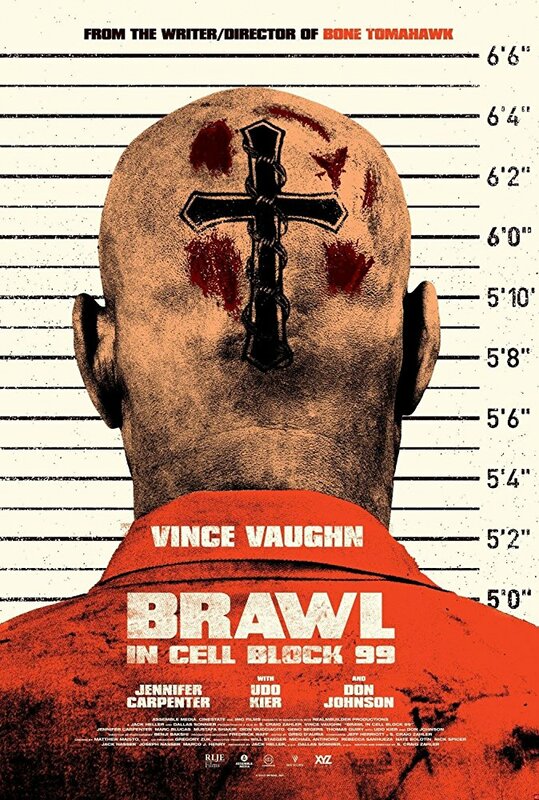 Had it filed itself down as a simpleminded and gratuitous grindhouse flick, Brawl in Cell Block 99 likely would have been a nostalgic egg and another harbinger of S. Craig Zahler’s oblique tendencies as a writer. He seemingly daydreams and wonders about mankind’s ugliness. It’s not enough for him to develop a brutal world, because here he has to do it tediously, creating an empty void stripped of perceptible humanity that makes the final act a true backyard brawl instead of a calculated fight. The punches lead to sharp winces with cautious laughter, not because they’re as exaggerated as a Rocky film, but because they try to equate seriousness with outlandishness. Supplement it all with a knuckle-cracking sound design that never holds back on producing grotesque details and the movie becomes something rather peculiar; it’s indulgent masochism for the creator and unwanted schadenfreude for the audience. Despite my misgivings with the barbed wire wrapped narrative, Vince Vaughn gives a relentlessly committed and at times drowsy performance. He stripped weight, locked into the camera with a dead eye, and established a southern twang that’s consistent throughout. He never wavers. But the thing is, because Zahler’s direction is so careless, Vaughn becomes a Quarterback asked to lead a two-minute drill for two plus hours. A limeman of his stature doesn’t have the endurance to find the endzone. Zahler is a promisingly grim writer – between the thrilling Bone Tomahawk and this sinking ship, we can sense his depravity – who hasn’t grasped what it means to be cinematic. I guarantee his words read well on the page, but when translated to film they tend to ignore flow. This is a story with many layers but hardly any depth. What’s supposed to be a sadistic, tortuous, and inflammatory feature comes across as a wreckless endeavor. To top it all off, the film mistakenly suggests that size matters more than technique, consistently conveying in a languid 10 minutes what could have been boiled down to a tense 3-4. 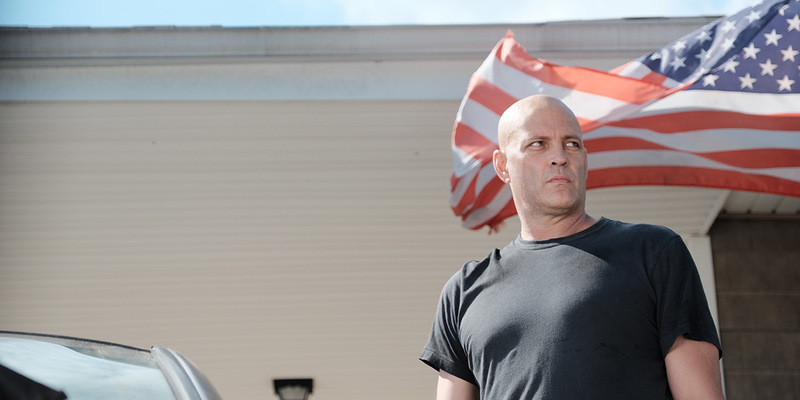 Brawl in Cell Block 99 has an entertaining and fragile plot that hasn’t been handled with care.